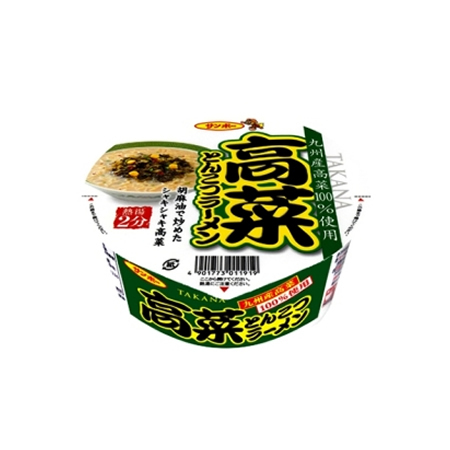 ●The noodles are made with thin noodles characterizing the Kyushu ramen. ●Soup of the heavy pork bones taste is excellent at the affinity with noodles. ●Entering hot mustard Chinese mustard from Kyushu! (1)I tear off a cover to an arrow and take out "soup" "mustard Chinese mustard" "to bake it" "seasoning oil". (2)I drink up soup on the noodles and pour boiling water from soup to the inside line and close the cap. (3)Enter and, three minutes later, stir "seasoning oil" "mustard Chinese mustard" well, and please have it.